Pets are known to have an acute sense of hearing. What would cause them to lose this ability? How will they cope with deafness? 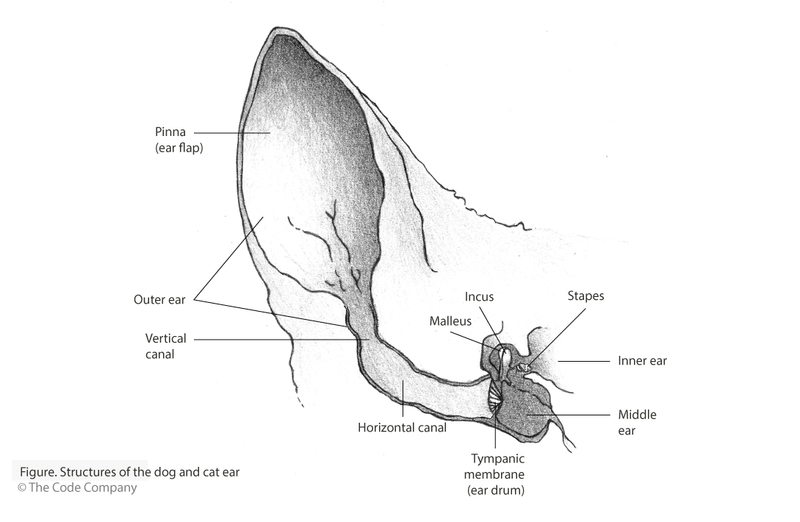 To answer these questions we first have to look at the normal anatomy of the ear. Dog and cats ears, much like humans, can be divided into three areas: the outer ear, middle ear and inner ear. The outer ear consists of the external earflap called the pinna, and the ear canal which is a narrow tube through which sound vibrations enter the ear. The middle ear contains the eardrum, a membrane that vibrates correspondingly to the incoming sound waves, and the small little bones on the inside of the eardrum called the auditory ossicles. These small bones transmit the eardrum vibrations to the inner ear. The inner ear, located deeper within the skull, contains the cochlea, a snail-shaped structure containing nerve endings that receive the vibrations and pass nervous system signals along to the brain, thereby enabling hearing. Deafness can be partial or complete, in one ear or both and is more common in older animals. It can also be hereditary or congenital, meaning it is passed onto the new born animal from its parents. It is advisable not to breed with deaf animals as the deafness can be passed onto offspring and can be progressively worse in subsequent generations. 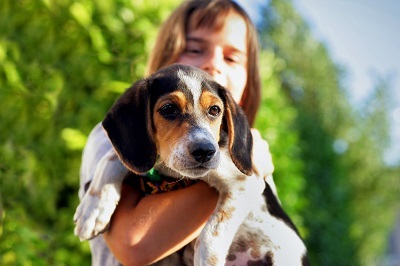 Inherited deafness or being born deaf tend to be more common in animals that carry a piebald or merle gene and is often associated with a white coat colour and blue eyes. Symptoms may be detected as early as 3 weeks of age. There are also certain breeds that are more susceptible to being born with this impairment. Dalmations, Boston Terriers, Australian Shepherds, West Highland White Terriers, Maltese and Cocker Spaniels are just a few of the dog breeds affected. Persians, Scottish Folds, Ragdolls and many of the white coated cats are a few of the felines affected by congenital deafness. Interruption of the pathway necessary for conduction of the sound waves means the waves do not reach the nerves of the ear and so cannot be processed by the brain as sound. Any inflammation of the outer or middle ear or any condition that may cause narrowing of the ear canal will lead to interruption of the path of sound waves. Conditions affecting the nerves of the ear - Degenerative changes in old animals; tumours of the nerve itself or of the ear that may press onto the nerve and other ear structures; inflammation of the inner ear; some infectious diseases such as Distemper can cause altered hearing but not necessarily complete loss; trauma to the ear or noise trauma. Toxins or drugs: Some antibiotics such as gentamycin, neomycin, streptomycin; chemotherapy; exposure to heavy metals such as arsenic, lead and mercury. Deafness may become permanent in cases where animals have been exposed to these compounds. By far the most common cause is an ageing animal (similar to humans) or chronic ear infections (otitis externa / media / interna). How do I know if my animal is deaf? Dogs and cats that are born deaf are very difficult to identify. Puppies and kittens will often compensate by feeling vibrations around them or reacting according to their littermates. They also sense changes in airflow and light and will respond to those stimuli giving you the impression they can hear. These animals are often ‘deep sleepers’. Early onset of hearing loss indicates congenital causes, genetics or a developmental defect. This type of deafness is often irreversible. The affected pup is often more aggressive than its littermates because during play it cannot hear their cries of pain. Deaf puppies can also be more vocal, especially when littermates are out of sight. Presbycusis is the progressive loss of hearing with advancing age commonly known as old age deafness. You may notice your pet becoming unresponsive to everyday sounds, its name, or its favourite squeaky toy. They will not be woken by loud noises and tend to bark or meow very loudly. Using noisy appliances in the home may also go unnoticed where previously it may have startled them. These animals are also sensitive to air movement and vibrations so be careful not to confuse their reactions. It is easier to note these changes in animals that are deaf in both ears. Where only one ear is affected it can be more difficult to tell as they tend to turn their head towards the noise or always sleep with the good ear open. A diagnosis of deafness is reached by the vet taking a complete history of your animal. This includes when the symptoms were first noticed, any possible incident that could have lead to hearing loss, disease history and recent medication. If the cause is due to inflammation or a conduction defect, medical or surgical intervention may reverse the hearing loss depending on the extent and duration of the disease. The only way to confirm deafness is using the BAER (Brainstem Auditory Evoked Response) test. This is a specialised test which is not routinely performed in general veterinary practice and you may have to be referred to a specialist veterinary facility to have this test done. Each ear is tested individually using a foam ear piece. A clicking sound is produced by a computer which then records the electrical activity of the brain in response to the sound stimulation. It is not a painful procedure and does not require any sedation if the animal can tolerate the wires around their heads. The test lasts about 10 to 15 minutes and can be done on animals from 6 weeks old. There are also other specialised tests like impedance audiometry/tympanometry which can be done but once again these are not readily available in general veterinary practice. How to cope with a deaf pet? Most deaf animals do not have any special health considerations apart from physical safety. Treatment is mostly directed towards animal whose hearing was previously perfect but may have been affected due to accidents or disease whereas animals that are born deaf can usually not be treated successfully to restore hearing. . Dogs should be kept on a lead when walking as they cannot hear the oncoming traffic. Your pet may be easily startled if he cannot hear you coming. Make sure he knows your presence in the room before touching him as they can ‘startle bite’. This can be done by switching on a light when entering a room or using a torch to gain their attention. Blowing on his fur or stamping on the ground to cause vibrations can also be used to alert your pet of your presence. During training, swap the verbal cues for visual commands. Hand gestures for the desired actions can be useful. Positive reinforcement is the best means for training, only rewarding the desired behaviour. Pets can be desensitised not to be startled when touched on the back. Walk up behind them, gently touch them on the back and give them a treat when they turn around. Body language becomes a very important tool. Deaf cats have a few more considerations compared to dogs. Females should be spayed as they tend to call loudly for males when they are on heat. Cats should be kept indoors as they cannot hear the threatening calls of other cats. A bell on a collar can help in locating your cat. Cats can be stimulated by using outdoor enclosure or ensuring sufficient enrichment of the indoor environment. They can be trained to walk on a harness or leash by starting indoors and slowly progressing to walking them outdoors. Deafness in animals is by no means a death sentence. Animals adapt very well to their surroundings and with the help of their loving owners can live long and happy lives.